Promotes youthful skin, making it firm and radiant. 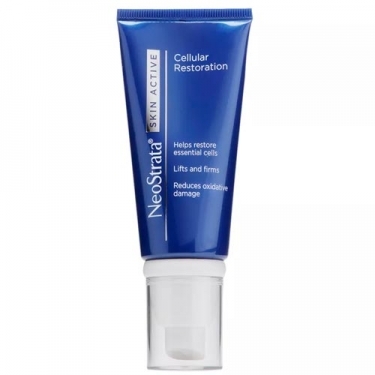 DESCRIPTION: Skin Active Cellular Restoration from Neostrata is a high performance night cream formulated for cell regeneration, strengthening of the skin matrix and reduction of oxidative damage. 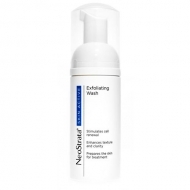 It is suitable for all skin types and makes it firmer, elastic and luminous. Composed of Maltobionic Acid; Glycolic acid; Gluconolactone; Pro-Peptide; Extracts from Swiss Apple Stem Cells and Chardonnay Grain Grains; Vitamin E; Extracts of açaí, pomegranate and cranberry. These ingredients are responsible for cellular regeneration, essential to the vitality and luminosity of the skin. Not tested on animals. Formulation of plant origin. Hypoallergenic. Complete Formula: Aqua (Water), Glyceryl Stearate, Glycolic Acid, Maltobionic Acid, Gluconolactone, Butyrospermum Parkii (Shea) Butter, Isononyl Isononanoate, Glycerin, Butylene Glycol, Stearyl Alcohol, Hydrogenated Polydecene, Arginine, Cyclopentasiloxane, PEG 100 Stearate, Dimethicone, Ammonium Hydroxide, Propylene Glycol, Cetyl Alcohol, Cyclohexasiloxane, Palmitoyl Oligopeptide, Palmitoyl Tetrapeptide-7, Tocopheryl (Vitamin E) Acetate, Malus Domestica Fruit Cell Culture Extract, Vitis Vinifera (Grape) Seed Extract, Euterpe Oleracea (Acai) Fruit Extract, Punica Granatum (Pomegranate) Extract, Vaccinium Angustifolium (Blueberry) Fruit Juice, Rosa Damascena Flower Oil, Methyldihydrojasmonate, Ethylene Brassylate, Caprylyl Glycol, Lecithin, PEG-75 Stearate, Steareth-20, Ceteth-20, Triethyl Citrate, Xanthan Gum, Magnesium Aluminum Silicate, Pentaerythrityl Tetra-Di-t-Butyl Hydroxyhydrocinnamate, Sodium Bisulfite, Disodium EDTA, Chlorphenesin, Phenoxyethanol, Caramel, CI 19140 (Yellow 5). It is compatible with make-up.